This third edition text has been largely rewritten to include the many important advances that have been made and the controversies that have arisen in the past years. New topics have been added including Oxygen Transport, Tissue Oxygenation Evaluation, Echocardiography in the Critically Ill, Bedside Ultrasonography, Critical Care Issues in Oncological Surgery Patients, Long-Term Outcome after Intensive Care, Therapeutic Hypothermia, Delirium, and Post-Operative Gastrointestinal Dysfunction. 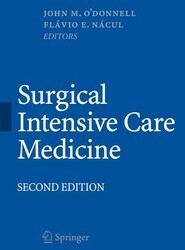 Chapters are written by high-quality contributors, many of whom are nationally and internationally recognized researchers, speakers, and practitioners in Critical Care Medicine. Another important feature of this edition is the geographical diversity of its authors, including notable contributions from colleagues in Australia, Belgium, Brazil, Canada, Denmark, France, Germany, Norway, Portugal, Sweden, and the United Kingdom. 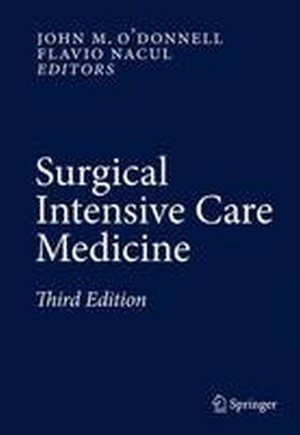 Surgical Intensive Care Medicine, Third Edition provides a comprehensive, state-of-the art review of the field, and will serve as a valuable resource for medical students, residents, critical care fellows in training, surgeons, anesthesiologists and physicians caring for the critically ill.